DEFCON (c by Choisir) 2 wins. See below. Femtometre (f by Excelebration (Ire)) 2 wins at 1200m, 1500m in 2018-19 in Aust. Dance With Fontein. 8 wins to 1100m, A$259,900, to 2017-18, MVRC Inglis 55 Second Challenge Heat H., Sweeney Real Estate H., Ladbrokes 55 Second Challenge H., MRC Clanbrooke Racing H., 2d MVRC Inglis 55 Second Challenge Heat 11 H., MRC Argyle Maintenance H., MVRC Sheamus Mills Bloodstock H., 4th VRC Absolut S., L.
Nuclear Force. 6 wins. See above. Turf Crusher. 2 wins at 1200m, 1300m, SAJC Sportingbet H., 2d SAJC Flair Curtains & Blinds H.
Elvis Can Dance. Winner at 1300m in Aust. Mannakarma (g Zeditave) 3 wins-1 at 2-at 1200m, 1600m, A$102,200, S$121,496, MVRC Breakfast with the Best H., QTC Ambassador Travel 2YO H., MVRC TROA Trophy H., 2d Singapore TC Three Rings Trophy, L, MRC Geoff Murphy H., Singapore TC Class 2 H.-5 times, 3d MVRC Super Vobis H., Singapore TC Benchmark 85 H., Benchmark 97 H.-twice, Benchmark 91 H., 4th MVRC Alister Clark S., Gr.2, CS Hayes S., Gr.3. DANZIGS SILVER (f Strolling Along) 4 wins to 6f, US$200,429, Fort Erie Matchmaker S., L, 4th Woodbine Royal North H., Gr.3, Fort Erie Matchmaker S., L. Producer. SPIRITED ONE (f Verglas) 5 wins-1 at 2-from 1000m to 1600m, A$370,900, WATC Champion Fillies S., Gr.3, Jungle Mist Classic, L, Jungle Dawn Classic, L, 2d WATC York S., L, 3d WATC Lee Steere S., Gr.2, Prince of Wales S., Gr.3. DR SWEET (g King Cugat) 13 wins from 1000m to 1800m in Macau, Macau Spring Trophy, L-twice, Winter Trophy, L, Directors' Cup, L, 2d Macau Winter Trophy, L.
XAARAVID (g Xaar) 9 wins-3 at 2-from 1100m to 1600m, A$494,350, WATC Carbine Club of WA S., L, Westspeed 3YO H., Joondalup Air Conditioning 2YO H., Westspeed 2YO P.-twice. Race Record: 8 Starts 2-2-0 A$368,250. 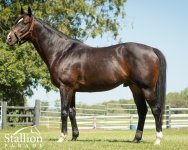 With powerful, speed physique to match his blistering juvenile speed that befits a son of Champion Sprinter Choisir, Defcon is sure to be an extremely popular commodity. Defcon was one of the most talked about juveniles in Sydney racing, announcing himself with an outstanding display to record the fastest time of the morning at the first official 2YO trials at Randwick. 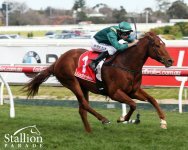 His champion trainer Peter Snowden commented, “in terms of natural ability, Defcon was up there with the very best 2yos we had. He had real talent." 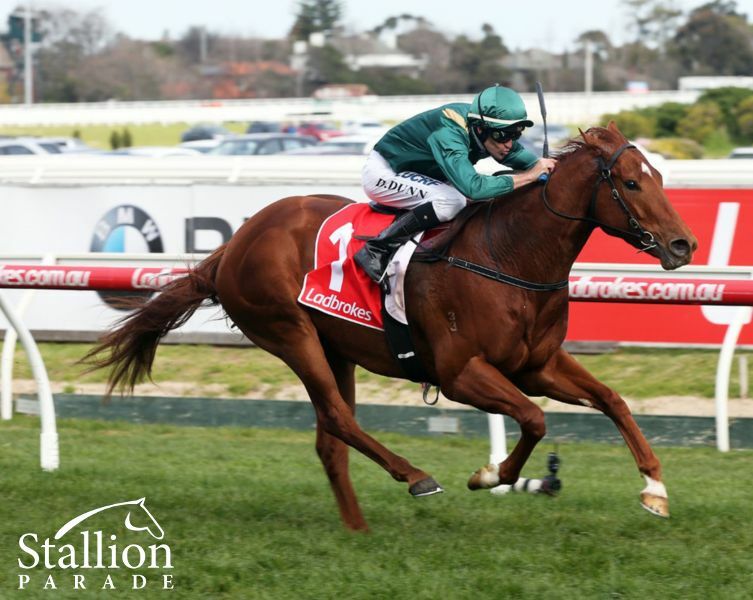 Lightly raced, Defcon recorded brilliant performances as a 2yo winning the Gr 3 Black Opal Stakes (1200m) and slick runner up in both the Gr 2 ATC Silver Slipper Stakes (1100m) and the Gr 3 ATC Canonbury Stakes (1100m) before taking out the Gr 3 MRC McNeil Stakes (1200m) as a 3yo. 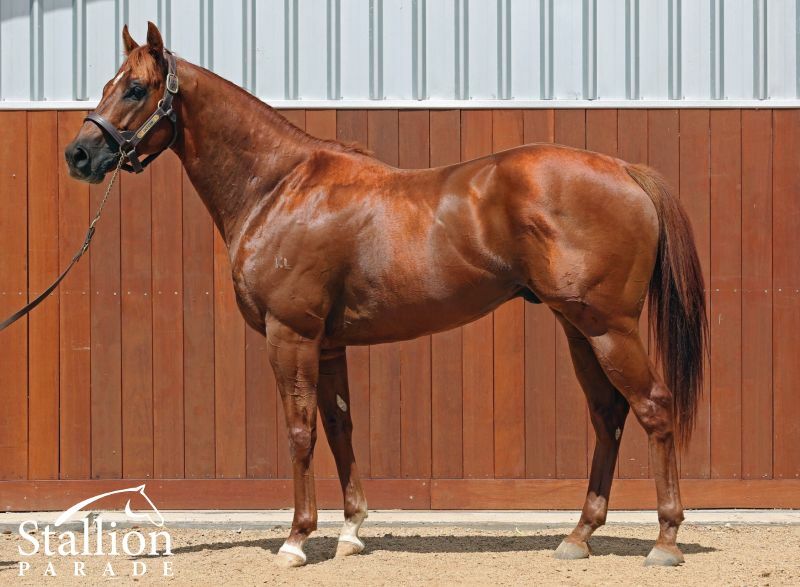 The highest-priced yearling by Choisir of his crop when purchased by James Harron Bloodstock for $340,000, Defcon is from six-time 1000m winner Nuclear Force, by Encosta de Lago.